The first disadvantage returns to the subject of economy of motion. 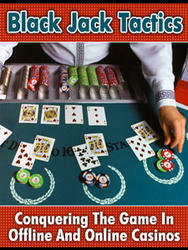 While the difference is less significant with poker sized cards than it is with bridge sized cards, the cards are nevertheless longer than they are wide, thus, ideally, one performs his or her deals width wise. In defense of the grip however, the forward take is better than a diagonal take used by many. Second, the Count's grip offers a decidedly annoying uncertain take, by which I mean there is the potential for hangers as no fingers remove extra cards. 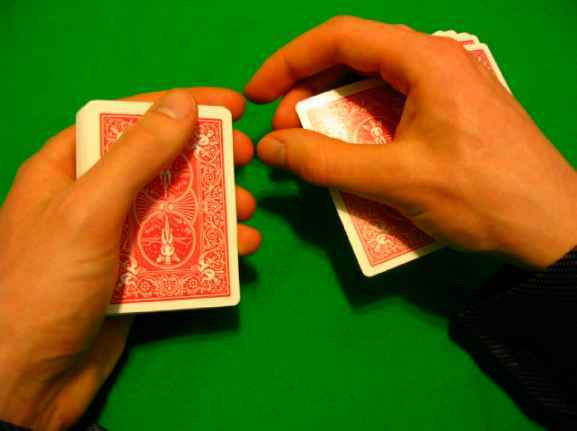 Third, when visible, the thumb motion on the second deal is unnatural, if you must perform the deal openly, rock your hand back and forth in order to conceal this fact. Fourth, there is an inability using this method to perform thirds, fourths and fifths as well as multiple minus bottom deals. Fifth, though not as significant as originally due to the new technique, center deals, especially open center deals remain difficult. Sixth, you cannot perform one-handed deals from this grip. Seventh, though there are alternate handlings, there is a rear flash on the Greek deal, which, though acceptable, is undesirable. That then is a summary of advantages and disadvantages for any who might consider using the Count's grip.